We’re lucky enough to be based in a Grade 2* listed house on Greenham Common in West Berkshire. The first Greenham Lodge was built around 1829. It was owned by James Croft and was described as a 'commodious residence’. The Greenham Lodge estate was bought by Lloyd Baxendale Snr, a partner in the haulage company Pickfords, in 1873. He commissioned a new house to be built on the existing site by the eminent architect, Norman Shaw. And this is the building that we’re based in today. 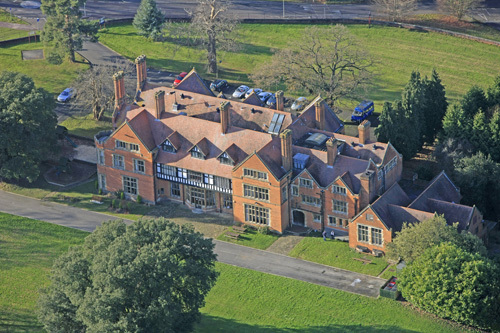 Norman Shaw based his design for Greenham Lodge on the large Elizabethan mansion to the north of Newbury, Shaw House. Greenham Lodge was completed in 1881 at a cost of £1,970. Unfortunately Lloyd Baxendale Snr didn’t get the chance to enjoy his new home for very long as he died in 1882 and ownership of Greenham Lodge passed to his son, Lloyd 'Harry' Baxendale. In 1904 some of the estate was sold, which became Newbury Racecourse. And in 1925 part was leased to Newbury Golf Club. Lloyd 'Harry' Baxendale died in 1937 and in 1938 the remaining 916 acres of the estate were sold. Photos of Greenham Lodge by John Piper are held in the Tate's archive. With the coming of the Second World War the RAF were based on Greenham Common. And in 1943 RAF Greenham Common officially became USAAF base Station No. 486.In the autumn of that year the US Army's 101st Airborne Division arrived in the UK. And General Eisenhower commanded the troops, who were camped across the Thames Valley from Reading to Marlborough, from Greenham Lodge. To this day tyre marks can still be seen on the main staircase inside the house. These were reportedly left by Eisenhower's personal driver who, on the night of 5 June 1944 (the night before D-Day), attempted to drive an overloaded jeep full of inebriated soldiers up these stairs. Apparently he only managed to get as far as the third step. From 1948 to 1953, Greenham Lodge became a school for the first time and was called Carmel College. Then in 1954 the house became a club for USAF officers stationed at RAF Greenham Common. It continued in this role throughout the Cold War period until the closure of the base in 1992. 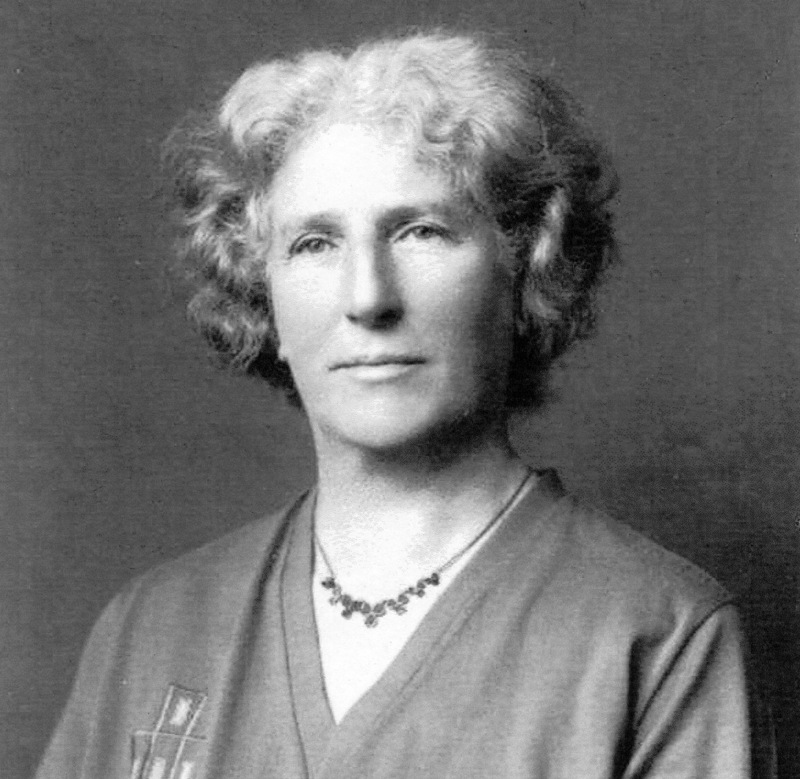 In 1996 Mary Hare took over Mill Hall School in Sussex – a primary school for deaf children. The school was then moved to Greenham Lodge and became Mary Hare Primary School. During the past 20 years, Mary Hare School has developed a number of businesses that contribute financially to the school and support of its core focus - the education of deaf children. Dr Ivan Tucker (former Principal of Mary Hare School) established Arlington Laboratories within Greenham Lodge in 1997. Originally set up to make earmoulds for the pupils of both the primary and secondary schools, it quickly grew to the thriving business it is today. Then in 2002, Greenham Lodge also became the home of fast and efficient hearing aid repairs when the Hearing Aid Repair Shop (HARS) opened for business. Since 2006, and the launch of Mill Hall Weddings, the beautiful Grade 2* listed building has seen many happy couples tie the knot and celebrate their very special day in this wonderful location. Half the profits from Arlington Laboratories and HARS and all the profits from Mill Hall Weddings go directly to Mary Hare School.